As the soil at Food Works farm is getting tilled, as the cover crop is being planted, and while the van is continually getting stuck in the mud due to the fall rains, we at Food Works are reflecting back on the successes, learning moments, and beauty that defined this past season on the farm. We had two successful farmers market booths, an account at the University Park New Seasons, and the biggest, longest CSA we’ve ever had. An exciting addition to our CSA this year was our participation in CSA Partnerships for Health, a CSA prescription program that provides affordable vegetables and fruit to folks in the community. 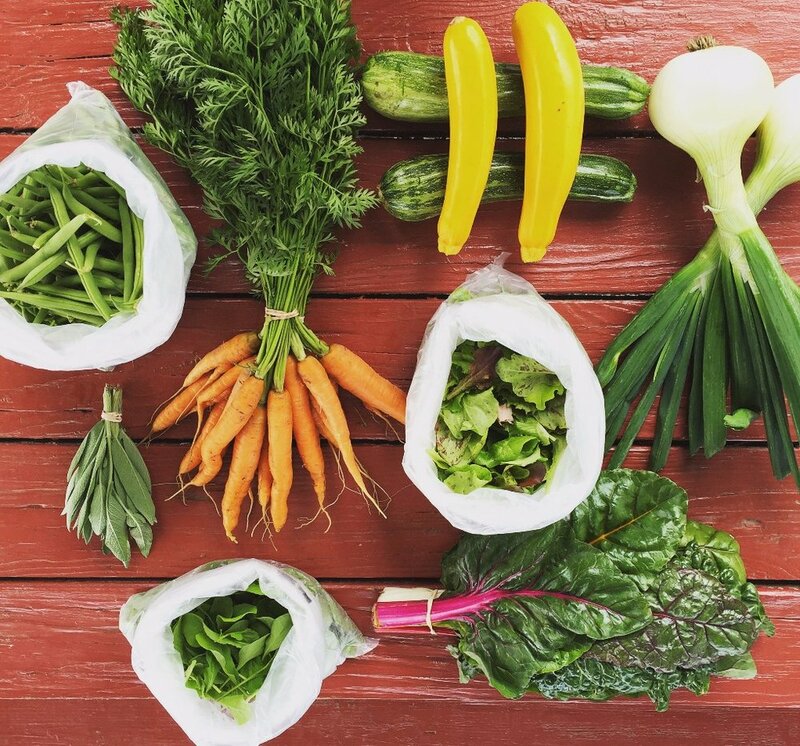 For those that don't know, CSA stands for "Community Supported Agriculture," which means a farm takes a certain number of members for the whole season and provides them with a full box of produce each week at a fixed price. We are at the beginning of a multi-year partnership that includes Zenger Farm, Adelante Mujeres, OFB Community Farm, Portland Fruit Tree Project, Rose CDC, OHSU Family Medicine at Richmond, Multnomah County Health Centers and Portland State University. For this particular program, Food Works provided organic vegetables to 11 CSA members who are patients at North Portland Health Center and whose wellness plan include healthy eating and cooking with fresh whole foods. This is easier said than done when your food budget is limited, so the partnership covered the marjority of the cost of each share and SNAP benefits covered the remaining, making locally grown, organic, fresh produce truly accesible. A big thanks to the generous funders of this revolutionary program; USDA-NIFA Community Food Project, Kaiser Permanente HEAL, Knight Cancer Institute, and Oregon Department of Agriculture Specialty Crop Block Grant Program. And to Bob’s Red Mill for donating a dry bulk item to each weekly share. Food Works is already doing farm planning to do this again next year, we look forward to it.